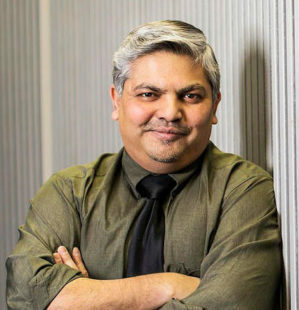 Rudra Sil is Professor of Political Science and the SAS Director of the Huntsman Program in International Studies & Business. He holds a Ph.D. from the University of California at Berkeley and has been teaching at Penn since 1996. His research and teaching interests encompass comparative politics, Russian/post-communist studies, Asian studies, the politics of labor, international development, international relations theory, qualitative methodology, and the philosophy of the social sciences. He is author, coauthor or coeditor of seven books. His two monographs are Managing ‘Modernity’: Work, Community, and Authority in Late-Industrializing Japan and Russia (University of Michigan Press, 2002) and Beyond Paradigms: Analytic Eclecticism in the Study of World Politics (Palgrave-Macmillan, 2010), coauthored with Peter Katzenstein. The latter book was honored as a CHOICE Outstanding Academic Title in 2011. Prof. Sil is also author of three dozen articles and book chapters. He also serves on the editorial boards of two journals, Comparative Political Studies and Russian Politics, and is an elected board member of the Committee on Concepts and Methods of the International Political Science Association (2016-19). 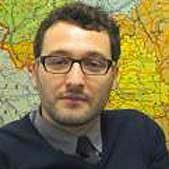 Prof. Sil is currently working on two books, Russia Reconsidered: Fate of a Former Superpower (under contract, Cambridge University Press) and Pathways of the Post-communist Proletariat: Labor Politics in Russia, China and Eastern Europe. Research related to the latter project was presented in a paper that received the award for Best Paper in Labor Studies at the 2013 Annual Meeting of the American Political Science Association. Dr. Sil’s College of Arts & Sciences Profile. Harbir Singh is the Mack Professor; professor of Management; and co-director of the Mack Institute for Innovation Management at Wharton. He is also Wharton’s faculty director of the Huntsman Program in International Studies and Business. He has also served as past chairperson of the Business Policy and Strategy Division of the Academy of Management and chairperson of Wharton’s Management Department. He has served on the editorial boards of several leading management journals. His research on the role of cultural distance in explaining the choice of entry mode by multinationals won the JIBS Decade Award, presented by the Journal of International Business Studies. He has also received the Strategic Management Society’s Award for Outstanding Research. He is a fellow of the Strategic Management Society, the premier professional body for research in strategy, and was named its dean in 2015. 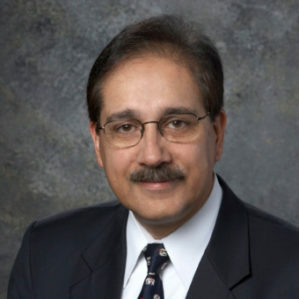 Harbir has taught extensively in Wharton’s multiple degree programs. He is on the Academic Advisory Board of the Indian School of Business, and has been a visiting professor at the London Business School and Bocconi University, Italy. He has worked with companies such as GlaxoSmithKline, Verizon, Cisco, and the Aditya Birla Group on issues relating to strategy, alliances, and acquisitions. Dr. Singh’s Wharton Profile. 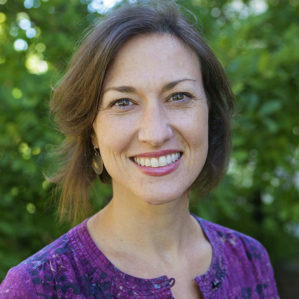 Prior to joining the program in May 2018, Kelly served as the Dean of Career and Professional Advising at Haverford College. She is delighted to return to Penn, having supported students as a Senior Associate Director in Career Services from 2007-2013. She has also worked as a trainer for the U.S. State Department’s Irish Peace Process Cultural & Training Program in Belfast, Northern Ireland and Washington, D.C., and held advising roles at Stetson University, the University of Iowa, and George Washington University. 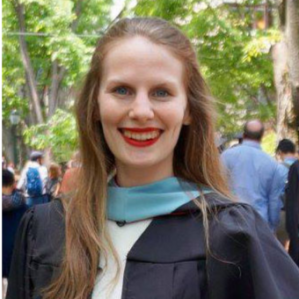 Her first job was as a teaching intern at the Marymount International School in Rome, Italy. She has a B.A. in English from Wake Forest University, an M.A. in Community Counseling from George Washington University, and an Ed.D. in Higher Education from Penn, with a research focus on interning abroad on career development. Prior to joining the program, Alyssa worked in Career Services at Penn, having supported the College of Arts & Sciences students. She holds a B.A. in Psychology from Champlain College, as well as an M.S.Ed in Higher Education from the University of Pennsylvania. As a First Generation student herself, Alyssa is passionate about programming and support services that will promote development and success within this community of students. She is very excited to support students of the Huntsman Program as they discover their interests and begin to establish and work toward goals for their futures. Outside of work, Alyssa enjoys spending time with her husband and their dog Ally, relaxing at the beach, and watching hockey (Go Flyers!). The Huntsman Program Advisory Board consists of Penn alumni, most with degrees from either the College or Wharton. Board members are senior level professionals, primarily from the business community, who provide advice and assistance to the Program. Board members are global in their perspective, with current members hailing from Asia, Europe, Latin America, and the United States. Manuel Dubon, W’63, L’66 | President, Julius Baer International Ltd.
Donald Lim, W’86, SEAS’86 | Director and Chief Operating Officer, Hotel Equatorial Management Sdn. Bhd. Mazy Moghadam, W’93 | Managing Director, Julius Baer International Ltd.
Luis Virata, WG’79 | Chairman & CEO, CLSA Exchange Capital, Inc. The Huntsman Alumni Council (HAC) is a highly engaged and committed group of 15 alumni, representing different cohorts, who also provide advice and assistance to the Program. The HAC provides perspective on the impact of various dimensions the Program has had on the careers of its graduates. Thus far, HAC contributions include increasing the number of alumni interviewers for admissions, organizing regional social events, creating an alumni fund to support scholarships for international students, and supporting students’ professional development by facilitating alumni-student connections for internship recruiting and mentoring activities. Matthew Tilove (Huntsman ’03) Target Language: German | Vice President, Americas Special Situations Group, Goldman, Sachs & Co. The Huntsman Student Advisory Board (HSAB) consists of current students, each elected by members of the Student Board and their peers. HSAB serves as an instrument for greater student participation and as a forum for students to voice their opinions about issues of concern to them. They often provide insight and help to execute programming that is of interest and relevant to Huntsman students. HSAB also works to build a sense of community through social events. Such activities help to maintain the close ties formed between Huntsman students during their freshman year, even after they spread out across campus and across the world during their semester abroad.